The Pendleton Round-up is going on right now—an amazing rodeo adventure in Pendleton, Oregon, celebrating its 102nd year. Our designers travel there for inspiration, entertainment, and to watch our westernwear in action on rodeo competitors and fans. 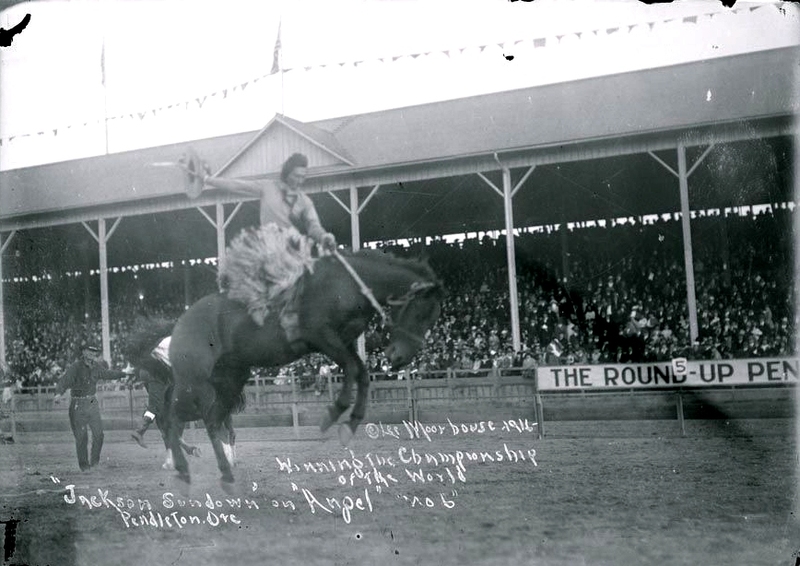 Oregon Public Broadcasting has a video titled “Pendleton Round-Up: The Wild West Way” that’s well worth watching, and Cowboys & Indians magazine has some great background. 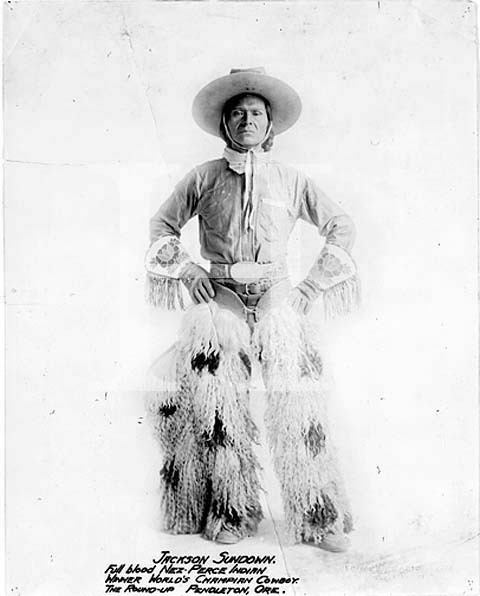 At twice the age of his competitors, the lanky six-foot tall Indian not only won the bucking championship, but the all-around title as well. 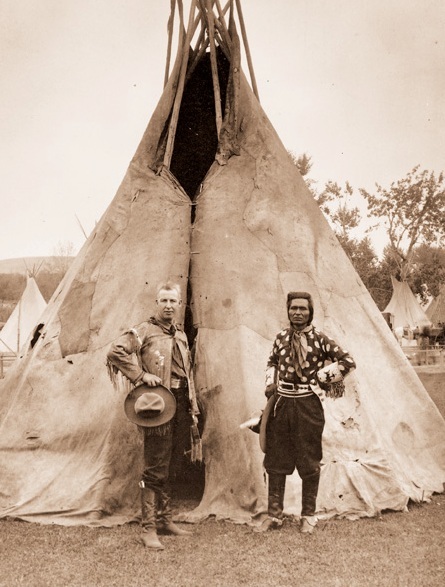 He lived out his life on the Nez Perce reservation, raising horses and passing on his skills until his death in 1923. He’s been inducted into more rodeo and athletic halls-of-fame than I have space to list. He is a key character in a novel by Ken Kesey, The Last Go ‘Round. It is sad that a man who possessed such incredible skills in horsemanship isn’t memorialized while sitting a horse. But there are plenty images of Jackson Sundown that show just how much he understood the role of wardrobe in a great performance. Chaps, hat, and that aloof expression. Jackson Sundown had it all, a fact well-illustrated by this logo for the National Cowboy & Western Heritage Museum. Yes, that is Jackson Sundown. I have read all the books on Mr. Jackson – a true American cowboy & one of my heroes.